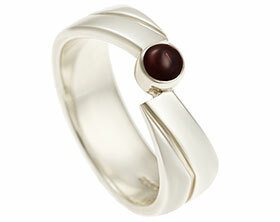 Mike and Linda have been married for 50 years and to celebrate their anniversary Mike wanted to commission a new ring for Linda. 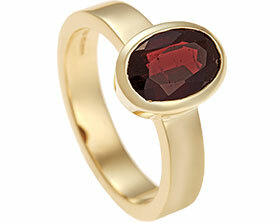 This 9 carat yellow gold dress ring has been set with a 7mm x 5mm oval Russet Garnet. 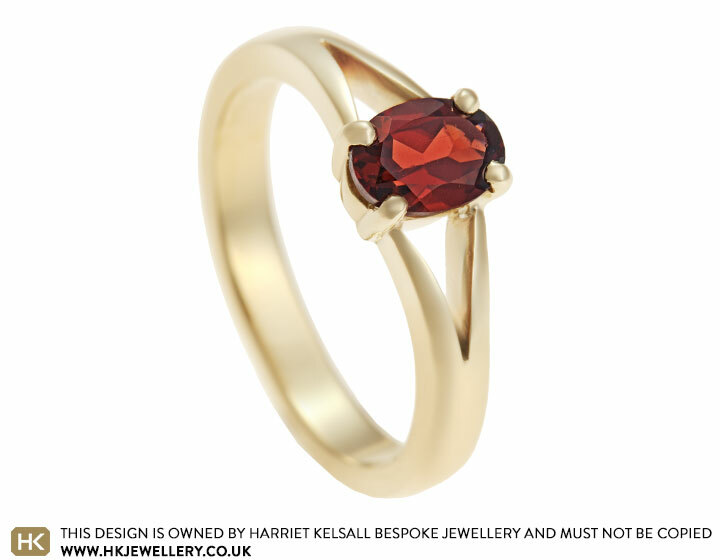 The beautiful rich red stone is held in a four claw setting with split shoulder detailing to show the stone from all angles. 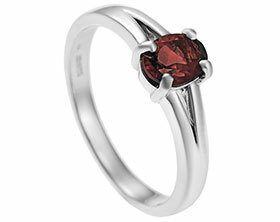 A polished finish completes this classic design.